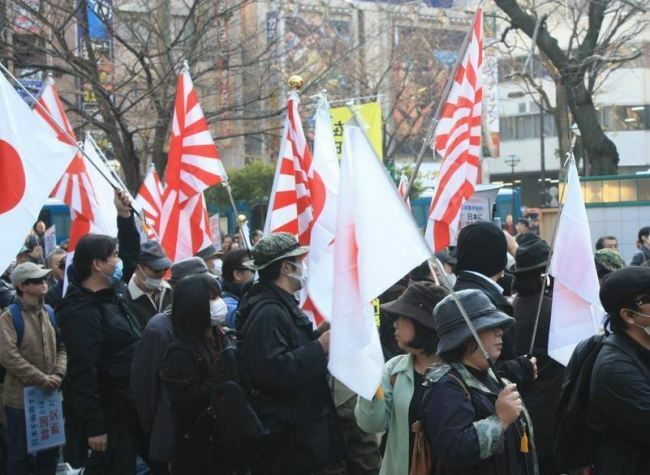 Municipal governments in Japan are moving forward with legislation to address hate speech. Although the laws protect people of all nationalities and ethnic backgrounds, it is Koreans in Japan who stand to benefit most as anti-Korean sentiment is prevalent throughout the nation. Tokyo’s Kunitachi City Council approved an ordinance on Wednesday banning discriminatory practices and hate speech. The bill specifically prohibits discrimination based on race, ethnicity, gender, occupation and status. Physical and mental violence are both against the law. If an incident is reported to the city council, local government officials will contact the victim and discuss appropriate remedies. Kunitachi isn’t the first city to ban ethnic discrimination. On Jan. 15, 2016, Osaka became the first Japanese city to adopt similar legislation. Kawasaki, Nagoya and Kobe are currently reviewing similar legislation. In addition to passing anti-discrimination laws, Japanese citizens are also taking to the streets and making their voices heard. When news spread in Yokosuka on Dec. 8. that a group was planning a protest against a documentary about the Korean “comfort women” -- Korean women and girls forced into sexual slavery for Japanese soldiers before and during World War II -- approximately 70 Japanese citizens gathered for a counter-protest. Slogans such as “Stop hate speech” and others condemning anti-Korean sentiment could be seen at the counter-protest.